Epoxy stone flooring is a good option for covering a damaged floor, for replacing an existing floor, or as a brand new floor, especially in an area that tends to be flooded. An epoxy stone floor can take on a wide range of looks, letting you create just the right look for your situation. If you are considering replacing or covering damaged flooring in a basement, a garage, on a patio, as a driveway or as a walkway, and you like the look of natural stone, you should strongly consider the epoxy stone flooring. If the look and functionality don’t convince you of the merit of this natural stone, cost will definitely convince you! 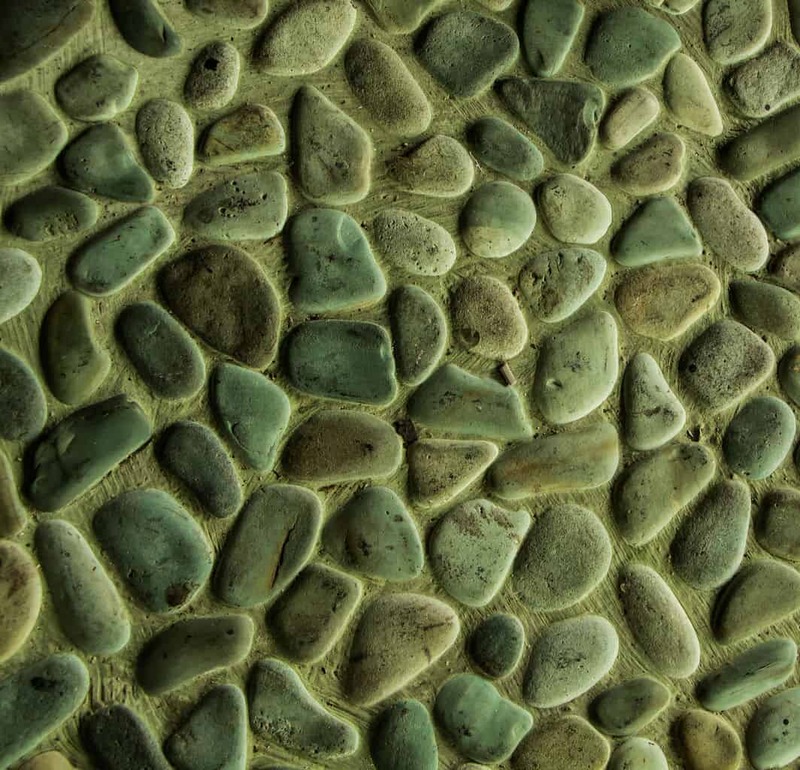 For many, the use of natural epoxy stone flooring is a means for hiding flooring flaws. Recently, however, it has been gaining popularity as a flooring choice all on its own due to the simple beauty it offers. Epoxy is also known as epoxy resin flooring. 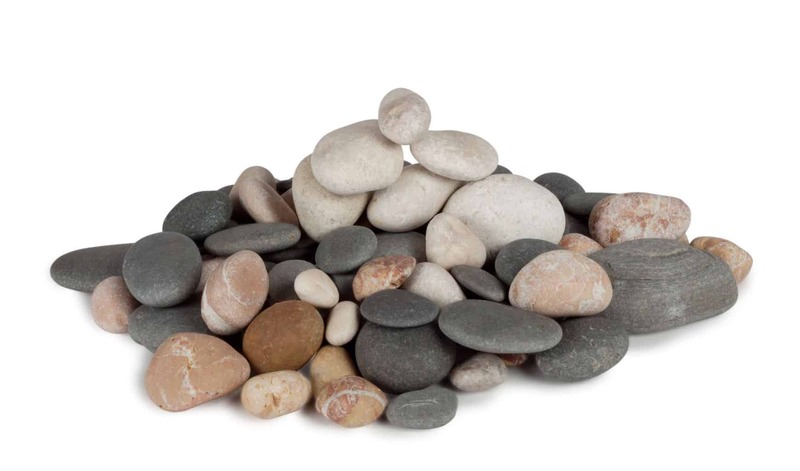 Basically, small natural stones are blended with a special, water resistant epoxy. The epoxy provides the adhesion that will not only hold the stones together, but will also adhere to whatever flooring it is laid over, including concrete, and will fill any cracks or dents in the process. There are many advantages to using this product. There are also disadvantages to using epoxy flooring. There is a relatively long period of time before you can start using the floor after the flooring has been done. People have started realizing the benefits of using epoxy stone flooring for their whole building rather than using it for covering up some patches. Since it is made from resins and other chemicals, some people do not prefer it. But there are safe disposal methods available for such chemicals and therefore, such concerns should not prevent you from trying it out. The product is installed by covering an existing floor, typically concrete. This means you are able to completely hide the underlying floor, whether that is damaged concrete or a plywood subfloor. For many, the number one benefit of using this flooring is that you do not have to remove the current flooring in order to lay the epoxy stone flooring. Consider the huge savings you will see from not having to pay to remove or spend the time your own removing the current flooring! Additionally, installing epoxy stone flooring solves any complications that may arise from removing the flooring, and the installation process is simple, quick and inexpensive. Being a resin, epoxy stone flooring has a very long life and hence promises you peace of mind. 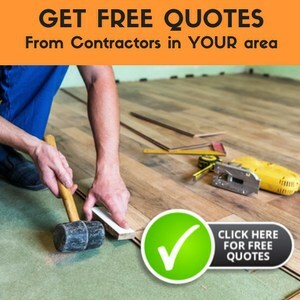 In addition to providing you with peace of mind, this durable flooring option will save you money in the long term, as the maintenance is practically nil. And finally, the cost of the epoxy stone flooring itself is less than even the cost of laying concrete. The epoxy resin is very inexpensive, and the natural stones used vary in price, so your total cost will be based entirely on the stone you choose to use. When you choose to use an epoxy stone floor, you will be amazed at the installation process. That is because the epoxy itself starts out as a liquid, basically just a small bucket of glue that will be mixed with the stones of your choice and then spread out and allowed to harden as flooring. If you would like to watch the installation process, check out the video below. Preparation: Preparation for installing an epoxy stone flooring is minimal, but will depend on the area where the flooring is being laid. The area on which you will be laying this flooring will need to be fully cleaned, first. ​Priming: A coat of primer will need to be added to the existing concrete floor or the plywood subfloor where the epoxy stone flooring will be laid in order to protect it. There are plenty of primer options out there available at any major retailer, like the popular brand name ﻿﻿K﻿﻿il﻿z, that offer sealing and waterproofing, but you will want to check with the epoxy manufacturer’s recommendations. Always follow the instructions on the primer and allow for plenty of time for the primer to dry completely (can take as long as a week) before laying the epoxy, if you want the subfloor to be completely waterproofed. 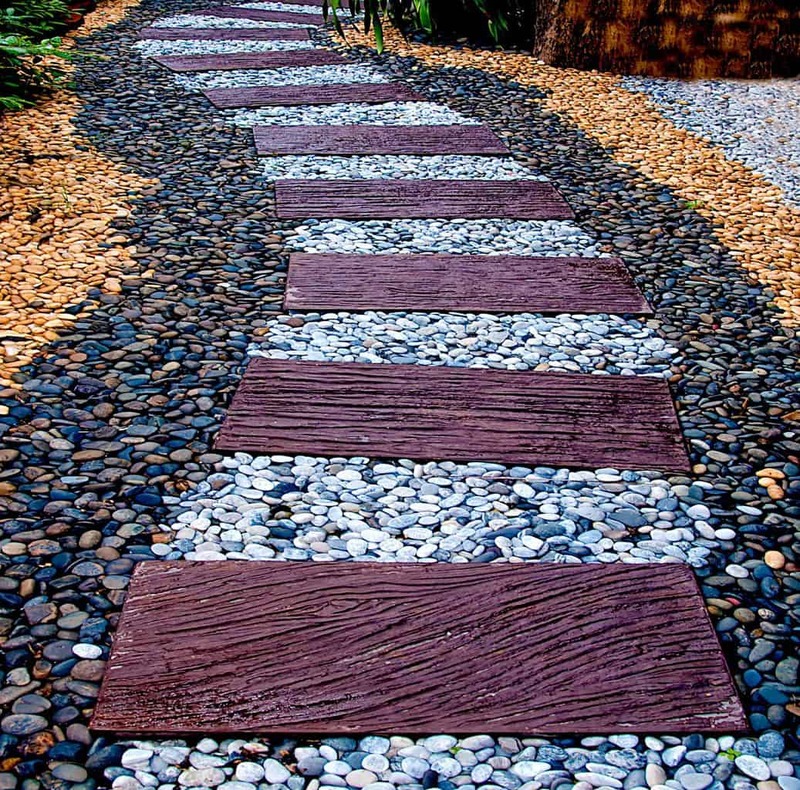 ​Mix the Epoxy and Stones: Now, there are several products that can be purchased here to help create the stone look. One of the common ways of doing this is through the purchase of an epoxy that has the ability to create a pebble finish. 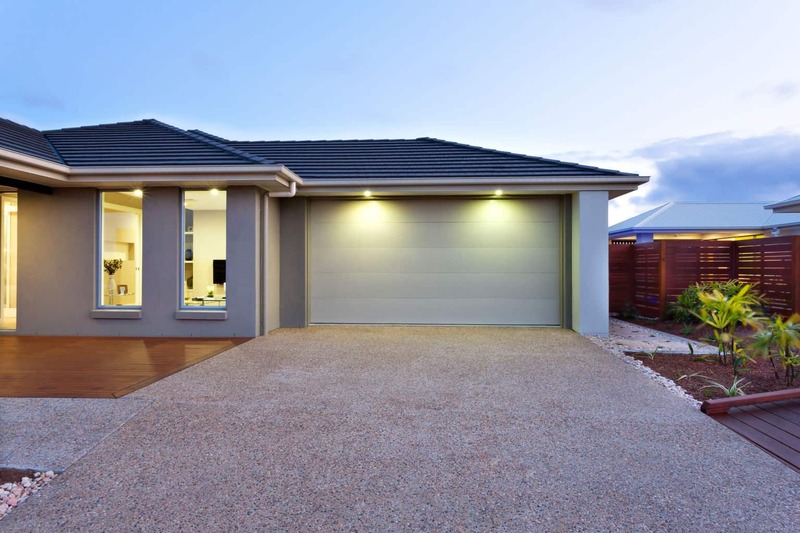 Other options include aggregate and resin floorings. The epoxy can be mixed with many other elements to create the look that you are after. There is never a dearth of options as far as design and pattern is concerned. There are UV or weatherproof epoxies that you can use if the stone flooring is to be laid outside. You will want to mix the epoxy you have chosen to use with the natural stones until the pebbles are completely coated in the epoxy. If you miss any patches, the stones will not be able to adhere to the floor. Apply the Epoxy Resin and Stones: After the primer coat is completely dry, the epoxy can be applied to the subfloor. Pour the resin in batches and spread the stones evenly across the floor. You will want to use a trowel, like this one, to ensure there are no uneven patches, holes that will need to be patched, or places where stones are sticking up. This is an easy process, but can be time consuming and you will want to pay attention to your work so that the final product is something you will be happy with. ​Allow the Flooring to Dry: Once the flooring material is applied, it will take twelve hours to set if indoors and a full 24 hours if outdoors. During that time the area cannot be used at all. Finish and Seal the Epoxy Stone Flooring: Sweep or blow off any extra or loose pebbles, and roll a top coat of the epoxy over the flooring. Allow this topcoat to dry completely before using the flooring. In 24 hours, you can truly begin to see the strength of the product. But, it will take a full week to gain its complete strength. You can use the area again after 12 hours’ worth of curing, however, for best results, it is highly recommended that you wait till the floor is completely set before you start using it. This causes inconvenience to people who have no alternative but to use the floor for daily use, but allowing the floor 1-2 full days to dry (especially in areas where there is a higher amount of moisture in the air), you will get more use from the flooring in the long run. There are numerous advantages of epoxy stone floor. First, as you can see, the installation of this type of flooring is quite simple. Secondly, the long-term care of an epoxy stone floor is just as simple. In fact, there are fewer restrictions on the products and methods that you use with epoxy than any other type of stone flooring. On top of that, an epoxy stone floor is one of the strongest flooring solutions out there. It is commonly used in industrial settings where chemicals, fires and other accidents can happen, because it will withstand the damage. Also, it will also provide for fire resistance. Once the epoxy is set, you can start using the floor straightaway. There is no regular maintenance, refinishing or polishing! Additionally, as the epoxy begins as a liquid that spreads out across the subflooring and then hardens, it is not porous and moisture does not penetrate it. As a result, there is very little chance of staining and there is no risk of water damage. In the first products to come out and to be used in the 1950s, a yellowish, amber staining happened over the course of time and sun exposure. This was due in part to the fact that this early product was not UV protected. Many epoxy products today are formulated to handle UV rays, however, and if you are installing the epoxy stone flooring somewhere that will receive sun exposure, you should ensure that the product you purchase is UV protected. If any damage does occur, such as chipping or stones breaking loose, you can purchase a simple epoxy repair kit, such as this one on Amazon, to repair the damaged places. Epoxy stone flooring does have a longer installation process due to the time required for the floors to cure. During this time, it is really recommended that the floor is not used at all. This can be a negative for some people, especially if it is a major inconvenience to avoid the flooring in the area where you are applying the natural stone epoxy flooring for several days. Additionally, the chemicals used in the epoxy do bother some individuals. However, if the area is well ventilated during installation, the long-term use of an epoxy flooring should not cause any issues. This product does not break down for a very long time, so chemicals being released should not be an issue, as that process is incredibly slow. However, the fact that the resin does not break down over time does mean the environmental impact of an epoxy flooring is a negative that should be considered. Overall, the benefits of epoxy stone flooring are numerous, and it’s understandable that this type of flooring is such a popular choice. You often see epoxy stone floors in industrial settings due to its strength and long-term durability. A natural stone epoxy flooring will look amazing in any home’s patio, garage, basement, or outdoor area, and the price is hard to beat. And, as the selection of the type of natural stones that can be used in such a flooring vary significantly, your flooring will have a visually appealing uniqueness original to your floor alone. Thanks for sharing that with us! We appreciate it. I read all the comments but I still am confused …Is this, epoxy stone flooring, a fairly easy installation process for a DIY-er? How much stone and resin do you need for 100 sq ft of flooring. 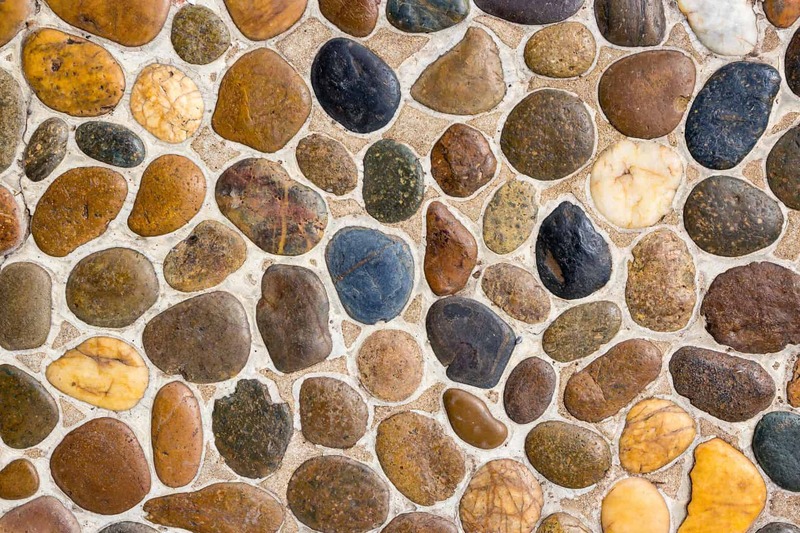 How much stone you will need will depend on the size of the stones you have selected to use for the flooring. You should be able to get that information from the supplier. I suspect you’ll be looking for about 200lbs of pebbles, but you’ll definitely want to confirm that. As far as the epoxy resin is concerned, typically 1 gallon can give you about 150 square feet of coverage, so you should be safe with a single gallon. Best of luck with the new tone floor! Let us know how the process goes and if you’re happy with the final result. Wanting to know if we can use this product in Minnesota. Looking to do my sidewalk and front steps. Honestly, I don’t really know much about epoxy flooring. It’s good to know, though, that these types of floors, just like you mentioned, are durable, easy to install, and are water resistant. This can really be a good alternative to other types of flooring materials that may be a little more expensive. I will definitely read more about epoxy stone flooring before I consider having it installed in my house. Thanks.